Questioning the teachings of his religion changed a man’s life so much that he has written a book, encouraging people around the world to do the same. Retiree Bob Bartholomew has questioned his religion for decades and with his new book he aims to encourage people to think critically about their religious beliefs and why they believe it. 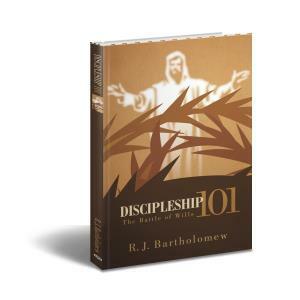 In his first-ever published book Discipleship 101: The Battle of Wills, Mr Bartholomew talks about his experience with God and encourages others to be more open-minded about what their religion teaches them. “It is important that we question God … His greatest desire is to teach us and answer our questions,” Mr Bartholomew said. “Those who don’t think critically about what God says, as opposed to what man says, end up on pathways that Jesus said ‘lead to their own destruction’”. Writing his book may have taken a few months, but Mr Bartholomew, who goes by the name R.J. Bartholomew, says he has spent more than three decades researching and learning about the Bible and Christianity. 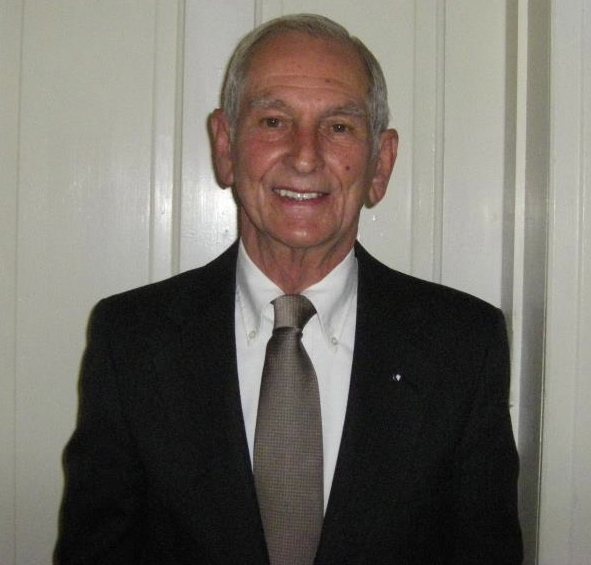 Born into a large and rather poor American Lutheran family during the World War Two era, Bob converted to Catholicism to marry the woman he loved, who was a Roman Catholic. He says his life as a married Roman Catholic was good but something was disturbing him. After watching news stories about Catholics and Protestants killing each other in Ireland during the 1970s, he says he began to question why God would allow such things to happen. From that point he decided to become an atheist. However, after years of not following any religion, Bob says he had an encounter with God which changed his views of religion and life. Bob has now been a Christian for several years and says his life since then has been filled with hope and joy. Christianity is made up of, but not limited to, five major branches of churches, including the Anglican, Pentecostal, Protestant, Eastern Orthodox, Oriental Orthodox and Roman Catholic churches. According to Adherents.com, more than two billion people throughout the world follow Christianity, with one billion following Roman Catholicism. Mr Bartholomew says he never intended to write a book, but after he read through a draft of a ‘teaching’ intended for his evangelism group, a friend suggested that he consider publishing a book. “Although I enjoy reading and writing, I can’t say that I ever envisioned writing a book,” he said. He told Upstart that the disparity and disunity among Christians is what inspired him to write the book. Discipleship 101: the Battle of Wills discusses many of the teachings of Roman Catholicism that Mr Bartholomew says contradicts ‘God’s word’ followed by a list of changes that the Roman Catholic empire introduced. He says people should focus on literal interpretations of the Bible as opposed to Catholic teachings that he says do not accurately reflect what God and the Bible instruct. “Historically, man has strayed from the precepts of scripture and has set up their own ways of ‘salvation’, usually through human philosophy and works based systems,” he said. Disunity within and between religions is nothing new, one only has to look back a few centuries to note that Europe has been plagued by wars, including the Thirty Years’ War in the 17th Century. One of the most destructive conflicts in European history, it started out as largely a religious war between Catholics and Protestants within the Holy Roman Empire before engulfing several great powers of the time. In more recent history, the period between the late 1960s and 1998 saw more than 3,000 people killed and more than 47,000 people injured in Northern Ireland. The conflict broke out due to discrimination against the Catholic minority by the Protestant majority. The conflict was also the result of Northern Ireland’s status within the UK. Mr Bartholomew told Upstart that followers can be negatively impacted when religious denominations stray from what God and the Bible advocate.